Over the past seven weeks of the Kindness Challenge 2017, my thoughts have turned to the power of kindness as the foundation for bringing change to our lives, our country and our world. I’ve found that it’s true that Kindness is Contagious and that kindness grows stronger the more we focus on the goodness of people. Kindness is a Muscle! My Grand Finale Reflection on Kindness Challenge 2017 brought to mind each of the weekly prompts for the seven weeks. The first three weeks were as important as the last four prompts. Maybe even more important in that it helped us to realize that kindness towards ourselves through self-love, self-compassion and self-acceptance help us to reach out to others with love, compassion and acceptance. The post I’ve chosen for this month first appeared on ME IN THE MIDDLE on May 4th, 2016. 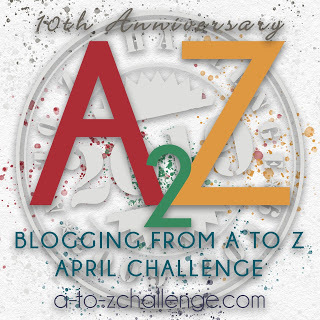 Even though I was unable to participate in this years A to Z Challenge I was still able to visit some blogs and enjoy their posts. I updated the Dozen Brave Bloggers with the links to feature those who participated this year (2017). They did such a great job meeting the challenge! I hope you’ll visit their blogs and let them know where you heard about their great A to Z posts.